Nitra is a city in western Slovakia, situated at the foot of Zobor Mountain in the valley of the river Nitra. 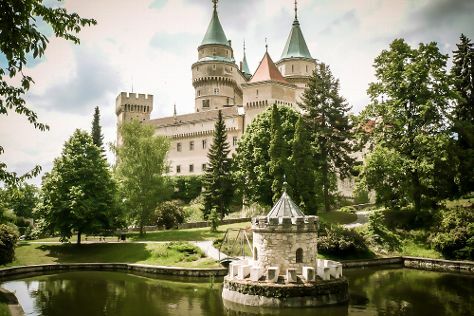 Venture out of the city with trips to Trencin Castle (in Trencin), Banska Stiavnica (Open-Air Mining Museum (SMM), Kalvaria, & more) and Bojnice (SNM - Bojnice Castle Museum & Bojnice Zoo). There's lots more to do: step into the grandiose world of Nitra Castle, see the interesting displays at Diecezne Muzeum, and tour the pleasant surroundings at Park na Sihoti. For maps, where to stay, photos, and more tourist information, read our Nitra travel itinerary planner. June in Nitra sees daily highs of 29°C and lows of 17°C at night. Finish up your sightseeing early on the 2nd (Sun) so you can travel back home.